Roy Feltz Sr., 64, of Milan, passed away Sept. 21, 2016, at his home. Per his wishes, there will be no services and cremation rites will be accorded. Quad Cities Cremation Center is assisting the family with arrangements. Roy was born Aug. 29, 1952, in Indianapolis, Ind., the son of Roy and Hazel Blackwell Feltz. He married Dolly Woods in 1972. She passed away in 2009. 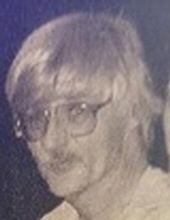 Survivors include his sons, Roy (Sally Jo) Feltz Jr., Chris (Wendy) Feltz, Michael (Erin) Feltz and Jamie (Candice) Feltz; 10 grandchildren; sister, Victoria Lee; and a brother, Ronnie Feltz. Roy was preceded in death by his parents; and a sister, Kathy. To plant a tree in memory of Roy Feltz, please visit our Tribute Store. "Email Address" would like to share the life celebration of Roy Feltz. Click on the "link" to go to share a favorite memory or leave a condolence message for the family.